Are Your Teachers the Best in the Universe? 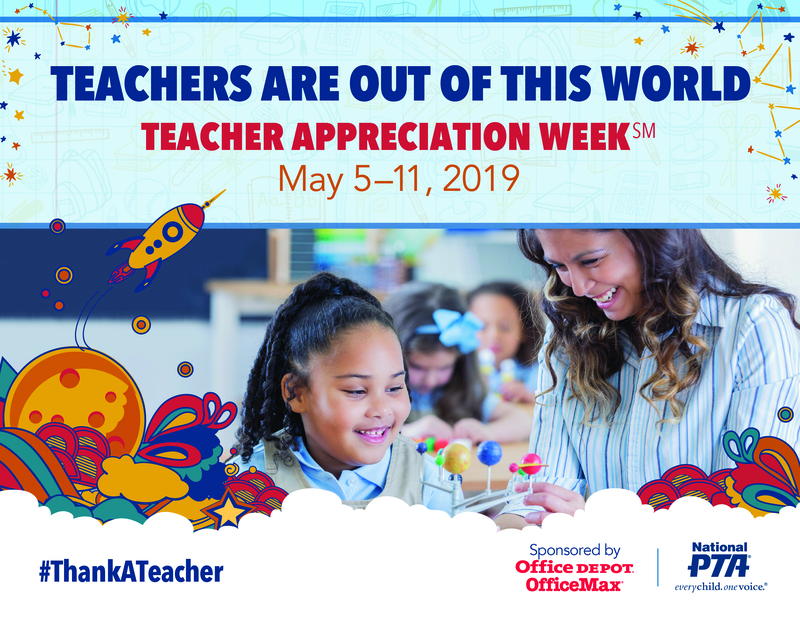 Celebrate Teacher Appreciation Week 2019 and #ThankATeacher with us May 5-11! They play a pivotal role in our children’s lives, inspiring a lifelong love of learning and discovery and making a difference in their well-being and long-term success. Let’s show our thanks and gratitude to these stellar educators. 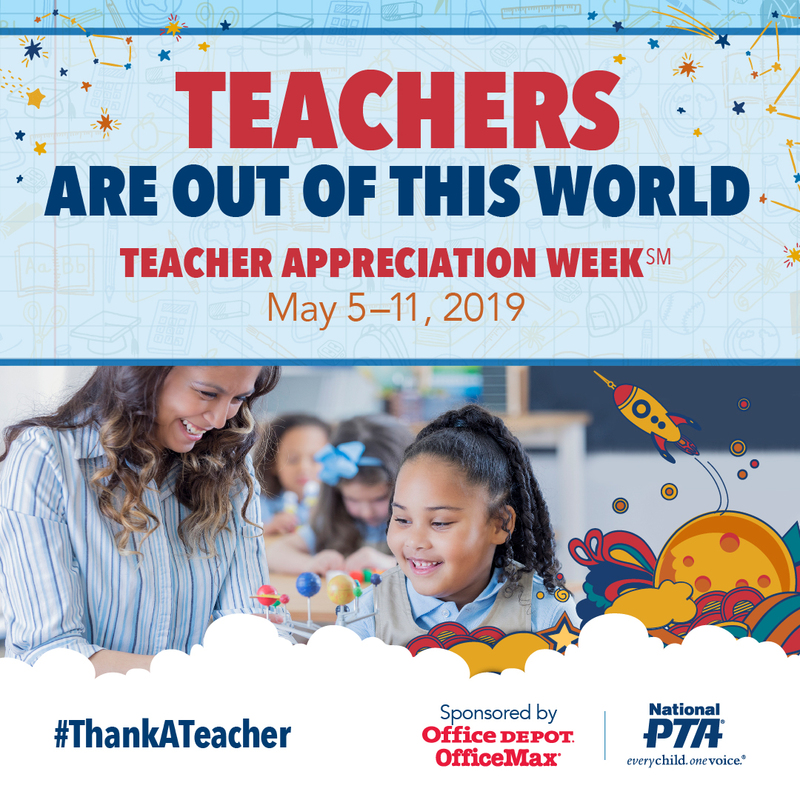 Blast off with us during PTA Teacher Appreciation Week to #ThankATeacher for all that they do to help our children reach for the stars. Save in store and online! Get 20% off qualifying regular and sale priced office and school supplies from Office Depot. Parents and students can use this coupon (expires 5/4/19) to show your teachers some love by buying the things they need for their classroom... so they don't have to! In addition, Office Depot thanks teachers for doing so much with this special in-store coupon (expires 5/11/19; must present teacher ID). Teachers are Out of This World! 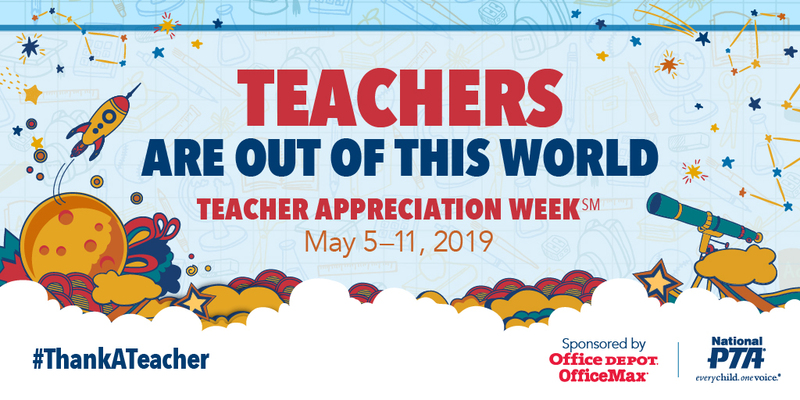 Take the time to show your appreciation during Teacher Appreciation Week. To help you thank the teachers in your life for helping you shoot for the moon, we’ve created certificates, flyers, thank-you cards, web ads and social media graphics! Remind everyone about Teacher Appreciation week by using our flyers! There’s even a fillable version so you can add your own text with event info or other details. Use this cut-and-fold thank you card to share a message straight from the heart with all of the stellar educators you know. Start a social media conversation about the amazing teachers in your life by dressing up your social media profiles with these graphics. 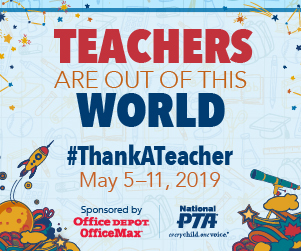 Don’t forget to share photos of your activities during the week by using the hashtag #ThankATeacher! Share the love on your school website or app! Get creative! We love seeing all the awesome ways you celebrate the “T” in PTA. PTA events at the national, state and local levels celebrate the outstanding contributions teachers make.